A complimentary loop shuttle is available to/from Metro and the Mason Inn Conference Center. The shuttle departs daily at the top of every hour and every half hour from the Vienna/Fairfax/GMU Metro stop on the Orange Line. Upon exiting the Vienna Metro station turn left -- the GMU pick-up location is located on the far left of the semi-circle of bus shelters on the north side of the station. 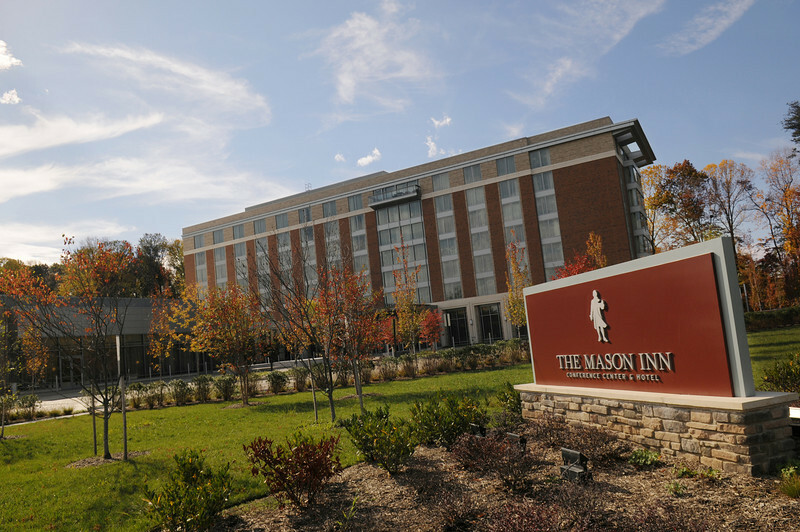 The shuttle trip takes 30 minutes from Metro to the Mason Inn. Route 267 East and Exit the Dulles Toll Road (no toll required) onto Exit 11 - Fairfax County Parkway(Route 7100). Exit the Parkway at Braddock Road. Stay to the left, then turn left on Braddock Road. Take next left at traffic light onto Ox Road. Take first right onto Mason Pond Drive. Hotel entrance will be the first driveway on the right. Exit the airport, follow the signs to Washington, DC North and to the George Washington Parkway north, to I-395. Once on G.W. Parkway, stay in the middle lane to enter I-395 south to Richmond. Immediately move left 3 lanes to remain on I-395 south. Exit I-395 at I-495 North (exit 1D) to Tysons Corner. Exit I-495 at exit 54, Braddock Road West, and take the westbound fork. Follow Braddock Road West for approximately 6 miles. Turn right at Roanoke River Road. Turn left on Mason Pond Drive. Take exit 54, Braddock Road (Route 620) West. Follow Braddock Road for approximately six miles. Pass the first entrance to the university, and take the second right onto Ox Road. Take the first right onto Mason Pond Drive. The hotel entrance will be the first driveway on the right. Take exit 160B (Route 123 North). Follow Route 123 for approximately 15 miles to Braddock Road. Cross over Braddock Road continuing on Route 123 North. Information about Mason's complimentary shuttle and other transporation.